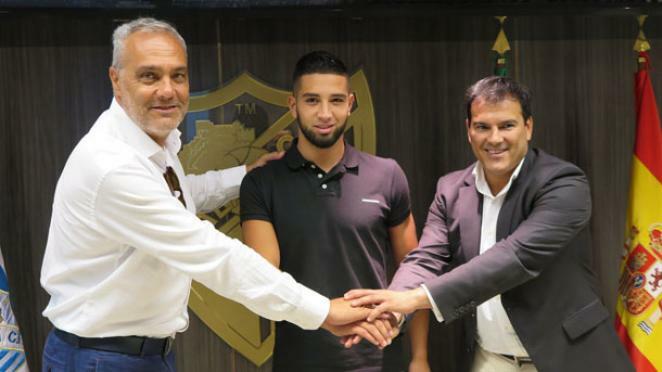 Málaga Club de Fútbol and NAC Breda have come to an agreement for the transfer of Adnane Tighadouini (Ede, Holland, 30/10/1992) to the ‘Malaguistas’ until 2019/20. Tighadouini, 22 years old and a Moroccan national, essentially plays on the left wing. A dominating player, he scored 15 goals last season, becoming one of the highest scorers in the Eredivisie, and one of the big revelations of the Dutch competition. Tighadouini will shortly be officially presented, although a date has not yet been set. Adnane Tighadouini (Ede, Holland, 30/10/1992) began his footballing career with Vitesse Arnhem, the team with whom he made his Eredivisie debut in 2010/11. Fond memories for the Dutch winger with Moroccan nationality was his debut match in the Dutch first division against FC Utrecht, when he scored a goal. In 2011/12, after beginning the season with Vitesse Arnhem, he was loaned out to FC Volendam, competing in the Jupiter League (Holland’s Second Division). Here he took part in nine matches and scored two goals. In 2012/13 he continued to play in the Jupiter League, this time he was on loan to SC Cambuur-Leeuwarden. During that season he competed in 22 games, with seven goals and seven assists. He also played three KNVB Beker (Netherlands Cup) matches. Tighadouini returned to Vitesse Arnhem at the start of the 2013/14 season, although during the winter transfer window he joined NAC Breda in the Eredivisie. He took part in nine matches and scored one goal. Again with NAC Breda, in 2014/15 the Dutch winger had a great season in the Eredivisie, playing 33 games, scoring 14 goals and three assists, although the team couldn’t avoid relegation. He also participated in two KNVB Beker games, scoring one goal. Adnane Tighadouini has been on international duty with Morocco’s under-20s and under-23s, the latter with whom he took part in the African Championships – the qualifiers for the London 2012 Olympics. His youth and quality as a player make him one of the most talented young, internationally-renowned footballers.